IAoC Apostolic succession is to be understood as continuity in doctrinal teaching from the time of the apostles to the present via Mary of Magdala, James the Just, Thomas the Apostle, Simon-Peter, John the Evangelist, until 1987 it continues via Universal Society of New Syncretism (SUNS) that became today the Research, Theology and Teaching Ministry.. The earliest followers of Jesus composed an apocalyptic Jewish sect, which historians refer to as Jewish Christianity. The Apostles dispersed from Jerusalem, founding the Apostolic Sees, presumably following the Great Commission’s decree to spread the teachings of Jesus to “all nations”, with great success spreading the religion to Gentiles. Peter, Paul, and James the Just were the most notable of early Christian leaders. Though Paul’s influence on Christian thinking is said to be more significant than any other New Testament author, the relationship of Paul of Tarsus and Judaism is still disputed today. Rather than having a sudden split, early Christianity gradually grew apart from Judaism as a predominantly Gentile religion. Christian restorationists propose that the 1st century Apostolic Age represents a purer form of Christianity that should be adopted in the church as it exists today. James the Just, whose judgment was adopted in the Apostolic Decree of Acts 15:19-29, “…we should write to them (Gentiles) to abstain only from things polluted by idols and from fornication and from whatever has been strangled and from blood…” (NRSV). Jewish Christians were among the earliest followers of Jesus and an important part of Judean society during the mid to late 1st century. This movement was centred around Jerusalem and led by James the Just. They held faithfully to the Torah (perhaps also Jewish law which was being formalized at the same time), including acceptance of Gentile converts based on a version of the Noachide laws (Acts 15 and Acts 21). In Christian circles, “Nazarene” later came to be used as a label for those faithful to Jewish law, in particular for a certain sect. These Jewish Christians, originally the central group in Christianity, were not at first declared to be unorthodox but were later excluded and denounced. Some Jewish Christian groups, such as the Ebionites, were considered to have unorthodox beliefs, particularly in relation to their views of Christ and Gentile converts. The Nazarenes, holding to orthodoxy except in their adherence to Jewish law, were not deemed heretical until the dominance of orthodoxy in the 4th century. The Ebionites may have been a splinter group of Nazarenes, with disagreements over Christology and leadership. After the condemnation of the Nazarenes, “Ebionite” was often used as a general pejorative for all related “heresies”. Jewish Christians constituted a separate community from the Pauline Christians but maintained a similar faith, differing only in practice. There was a post-Nicene “double rejection” of the Jewish Christians by both Gentile Christianity and Rabbinic Judaism. It is believed that there was no direct confrontation or persecution between Gentile and Judaic Christianity. However, by this time the practice of Judeo-Christianity was diluted both by internal schisms and external pressures. Gentile Christianity remained the sole strand of orthodoxy and imposed itself on the previously Jewish Christian sanctuaries, taking full control of those houses of worship by the end of the 5th century. The Nasrani or Syrian Malabar Nasrani community in Kerala, India, is conscious of their Jewish origins. However, they have lost many of their Jewish traditions because of western influences. The Nasrani are also known as Syrian Christians or St. Thomas Christians. This is because they follow the traditions of Syriac Christianity and are descendants of the early converts by Thomas the Apostle. 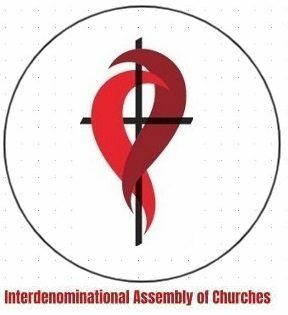 Today, they belong to various denominations of Christianity, but they have kept their unique identity within each of these denominations. Christian groups and congregations first organized themselves loosely. In Paul’s time, although certain decisions by Elders and Apostles were binding, as in the Council of Jerusalem, there were no precisely delineated functions yet for bishops, elders, and deacons. A Church hierarchy, however, seems to have developed by the late 1st century and early 2nd century. These structures were certainly formalized well before the end of the Early Christian period, which concluded with the legalization of Christianity by Constantine’s Edict of Milan in 313 and the holding of the First Council of Nicea in 325 when the title of Metropolitan bishop first appears.